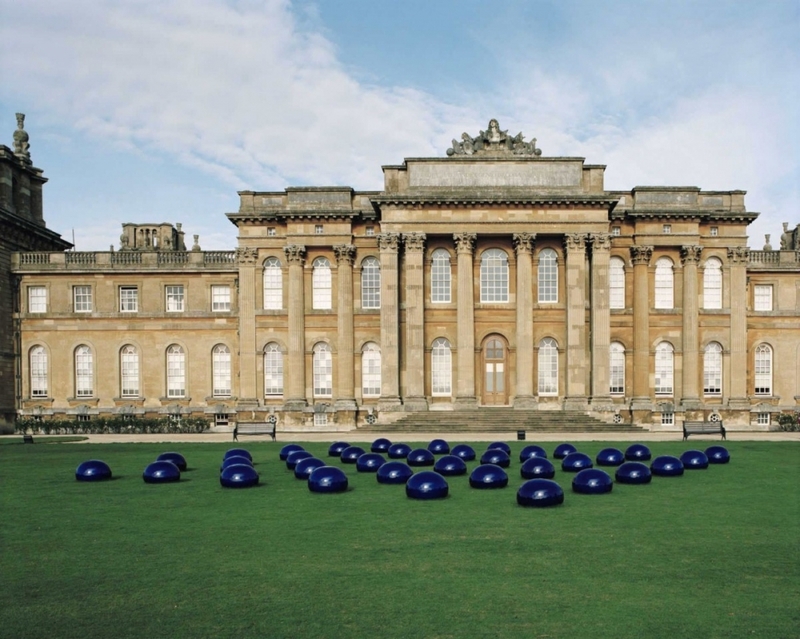 Ai Weiwei at Blenheim Palace presents the artist’s most extensive UK exhibition to date. Spanning three decades of Ai’s career, the exhibition showcases over fifty works, including several new works made specifically for the Palace. The exhibition was realised through a close collaboration between Ai Weiwei and Blenheim Art Foundation with the aim to integrate Ai’s works seamlessly into the Palace, creating a space for reflection through juxtaposition, striking a balance between Ai’s contemporary art and the Great Masters whose works already fill the rooms with a significant presence. The exhibition seeks to offer new ways of experiencing art and demonstrates that an amalgamation of the old and the new only serves to elevate both elements. Seminal artworks on display include Circle of Animals (2010), Ai Weiwei’s reinterpretation of the legendary bronze zodiac head statues that once surrounded the fountain-clock at Emperor Yuanming Yuan’s imperial retreat in Beijing and He Xie (2010), which features 2,300 porcelain crabs presented in the Red Drawing Room. Also on show are fifty-four photographs taken by Ai Weiwei to document his time spent in New York 1983-1993 and which are presented alongside never-before exhibited photographs by Andy Warhol, taken during Warhol’s visit to China in 1982. Further works include Surveillance Camera (2010), a poignant reminder of Ai’s current situation; Slanted Table (1997), a reconfigured Qing Dynasty (1644-1911) table; and Map of China (2009), formed from wood reclaimed from temples also dating to the Qing Dynasty. The forty-five metre long carpet; Soft Ground (2014) was created specifically for the Palace and exhibition. The markings on the carpet are based on tyre marks left behind by tanks on a dirt track to the southwest of Beijing. These are also identical to the traces left behind by the tanks sent into Beijing, and Tiananmen Square during the protest of 1989. By replacing the Palace’s original red carpet the work was intended to create a stark juxtaposition between the two very different ways of life. Other works created for the exhibition include Cao, Han Dynasty Vases in Auto Paint, Coca Cola Vase and Caonima Vase, Sunflower Seeds Stool, Small Plate with Flowers and Wave Plate.